Shaped by the energy of the earth, bustling with the energy of a cosmo-politan capital, surrounded by the pure unpolluted energy of nature, Reykjavík is a city of striking contrasts. Small corrugated iron houses nestle next to futuristic glass buildings; state-of-the-art facilities lie minutes away from rugged volcanic terrain; and inter-national influences mingle with Icelandic national traditions to create a unique culture where old embraces new. Whatever your interests, Reykjavík has something to offer. Whether you are seeking the bustling energy of a cosmopolitan city, the thundering thermal energy in the ground beneath your feet, or the quiet green energy of the landscape surrounding the city, Reykjavík promises a memorable visit. One way to soak up Reykjavík’s pure energy is to visit one of the many thermal swimming pools or spas. Whether you go for a swim, take a healing soak in a hot tub, or indulge in a thermal steam bath, you will leave feeling relaxed and re-energised. Going to the pool is also very much a way of life for Reykjavík’s residents and thus an ideal way to meet local people. A crash course in Icelandic politics, the long-term weather forecast, or some valuable tourist tips are just some of the things you might soak up in the soothing waters of a hot tub. There is no better way to touch the pulse of the city. The magnificent countryside that surrounds the city also makes Reykjavík unique and provides the adventurous tourist with a wide variety of things to do. Salmon fishing, midnight golf, sailing, climbing, glacier trekking, horse riding and whale watching are all within easy reach of the capital and can easily be fitted into a day trip so that you can be back in the city in time for dinner. Reykjavík boasts an excellent range of fine restaurants that are renowned for their imaginative cuisine and fresh local ingredients. Whether you enjoy seafood, lamb or wild game, there will be something on the menu to suit your palate. For a city of its size – Reykjavík and its neighbouring communities have around 200,000 inhabitants – Reykjavík also boasts an excellent range of luxury hotels, exclusive shops and designer outlets. It also has the reputation of being one of Europe’s “hottest” cities at night, with an active music scene and famous nightlife. Reykjavík is energy also abounds in the city’s cultural scene. From the avantgarde to the historical, Reykjavík’s galleries, museums and theatres support a vibrant yet sophisticated artistic culture. Annual festivals, special exhibitions and stage productions mean that the cultural calendar is always full and there is always plenty for the visitor to enjoy. Reykjavík is the gateway to Iceland. A young-at-heart city with a long history, encircled by mountains and sea, it lies just minutes away from a magnificent unspoiled landscape thrown up and shaped by the energy of the earth. Whether you are looking for the excitement of a capital city or a quiet break in breathtaking scenery, Reykjavík has everything you could possibly want. 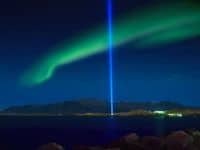 Reykjavík – pure energy – you’ll leave revitalized. Reykjavík’s neighbouring communities are also well worth a visit. In the town of Hafnarfjörður, Viking culture is still alive and well: the restaurant Fjörukráin organises Viking banquets all year around, and the town also hosts the annual international Viking festival. People come from all over the world to demonstrate how the Vikings did battle, carved wood and bone, wove fabric, and made ornaments and weapons. And of course there is Viking food and music to be enjoyed. And before you leave Hafnarfjörður, why not take a look at the small but beautiful Hellisgerði park? Between the towns of Kópavogur and Garðabær, there’s a big shopping mall called Smáralind where many cultural events are organised, including exhibitions, concerts and song contests. Kópavogur also has an art gallery (Gerðarsafn) and a Natural History museum. In Seltjarnarnes, to the west of Reykjavík, there is a medical museum at Nesstofan, housed in one of the oldest buildings in Iceland, which dates from 1761–1763. To the north, the community of Mosfellsbær has a museum devoted to the Nobel-prize-winning (1955) author Halldór Laxness. Like the city itself, all the communities around Reykjavík boast golf courses, presenting you with quite a choice! And of course, all have wonderful open-air thermal pools, most of which also provide fitness facilities. Just outside the urban area, the Heiðmörk nature reserve offers opportunities for walking, mountain biking or horse trekking. There are also riding stables in Hafnarfjörður and Mosfellsbær, where you can try out Icelandic horses which are very different from other breeds. Although small, they are extremely strong and sturdy, with five gaits, two more than most other horse breeds. One of these, the “tölt”, is extremely comfortable for the rider and can be sustained over long distances. Reykjavík is a convenient starting point for all kinds of excursions, which enable you to explore a large part of Iceland without so much as having to pack a suitcase. In addition to bus tours to all the “must-see” places, domestic flights can be taken to destinations that are further afield. Whale-watching boat trips are available from late March until mid October, and for those who like some real action, biking, hiking, angling, diving, river rafting, skiing (in winter) and kayaking are justsome of the activities on offer.